St. Anne's Episcopal Church, Fremont | St. Anne's Episcopal Church is an inclusive, diverse community following Jesus Christ. Together, in Christ, we are engaged in healing and wholeness, dedicated to community outreach, and committed to shared leadership and growth. Welcome to St. Anne’s Episcopal Church, Fremont! Come and join us in the journey that Jesus invites us to take: the way of love of God, love of neighbor, and love of self! 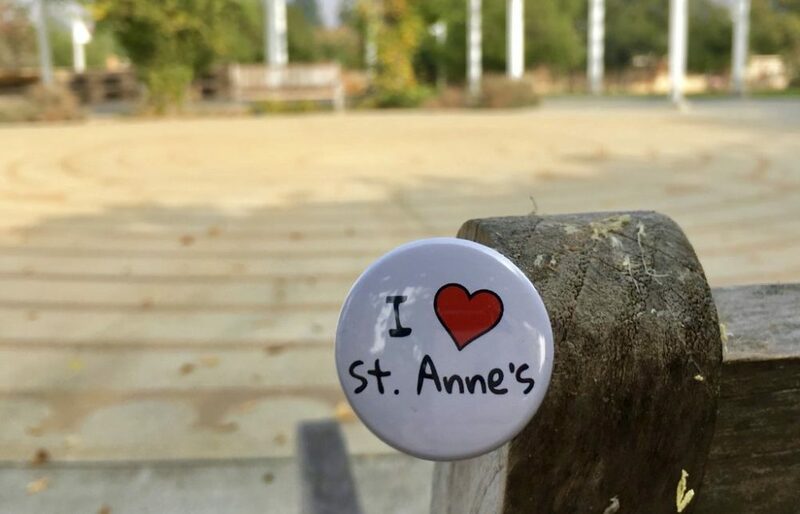 St. Anne’s is a place where your questions are embraced, your whole self is welcome, and differences of viewpoints and culture are what make us fully who we are. Wherever you are in your journey, this is a spiritual community worth being part of. Not sure what the Episcopal Church is? No worries! Learn more about us here. Maundy Thursday with Agape Meal: 7 p.m.
Good Friday: Stations of the Cross Noon to 3 p.m.; Service 7 p.m.
Also, review us on Yelp! Make your Amazon account work for both you and us! Go to Amazon Smile, sign up and choose St. Anne’s Episcopal Church, Fremont as your non-profit, and Amazon.com donates .5% of your purchases to us.